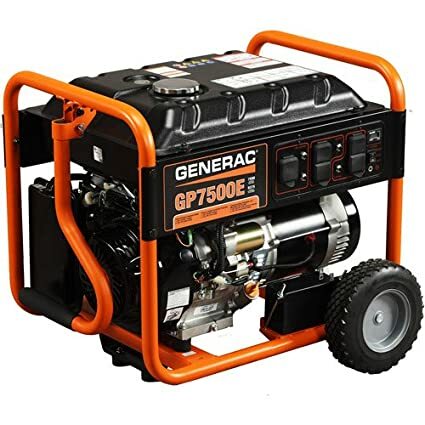 A generator can offer a convenient source of backup power to your home in case of power outages or emergencies, and makes a great portable source of power when camping as well. 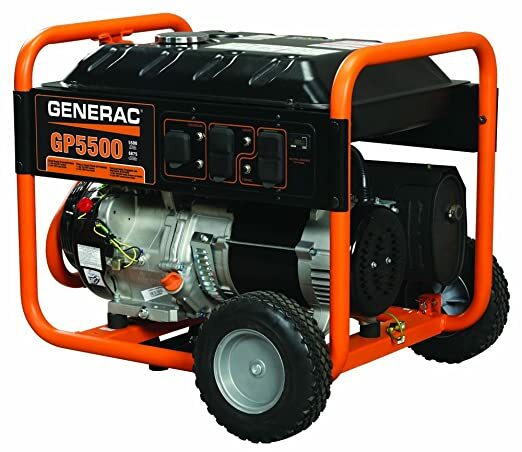 There are some important factors to consider when purchasing and using a generator. Do you want gas-, propane- or solar-powered? Dual fuel options? Permanent or portable? If you want a portable unit, does it come with a wheel kit? Electric start or manual (recoil)? How many, and what types of outlets do you need? You’ll need to determine your family’s power requirements in order to determine which level of wattage on your generator is suitable. If you plan on running electronic devices such as cell phones and laptops off your generator, you’ll want to invest in one with inverter technology for ‘clean’ power that runs without surges that could fry the components. If you live in the state of California, you’ll also need to ensure that the unit you purchase is California Air Resources Board (CARB) compliant. This ensures the unit meets an additional number of safety and emissions standards. If your unit is powered by gas or propane, you’ll want to ensure it is used outdoors with enough ventilation. Do not refill until the unit has cooled down. 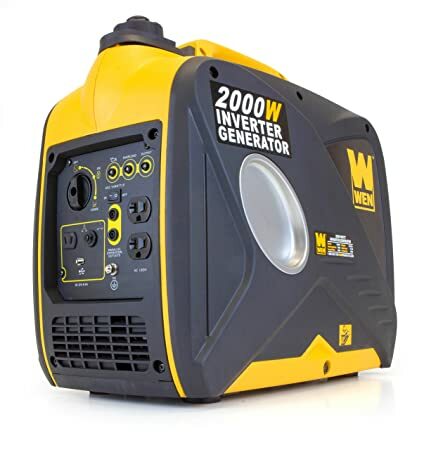 This portable 1800 watt generator can provide enough power for your family in case of an emergency, or even when on the road during activities like camping. It features a lightweight and compact design that is capable of running for up to 7.5 hours on 1.45 gallons of gasoline. 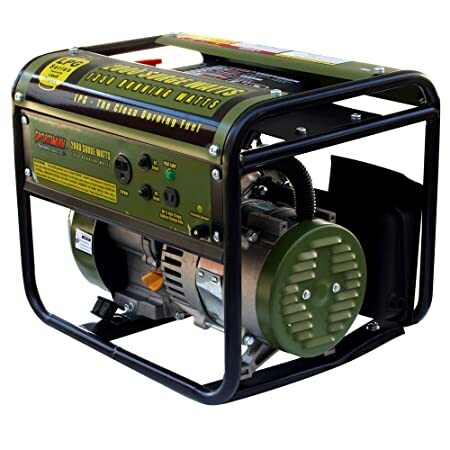 This gas-powered portable generator features a gas/oil fuel mix that removes the need for oil changes and is certified for use in any national park or forest. It weighs less than 36 pounds so it is easy to take and set up just about anywhere. This portable gas generator is easy to take with you thanks to its convenient carry handle and built-in wheel kit. It can run up to 8 hours on a single tank of gas and features an easy, electric key start. 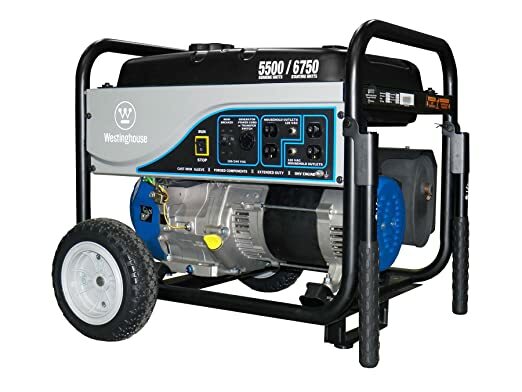 This gas-powered portable generator is rated for 3,500 watts of power output and comes with a single 120V DUPLEX outlet (5-20R), one 120V twistlock (L5-30R), and one RV receptacle (TT-30R). This unit can run for up to 12 hours on a single tank of gas. This solar-powered generator allows you to power lights, televisions and more thanks to its built-in AC inverters and can even be built in a chain with other Yeti inverters for longer run times. 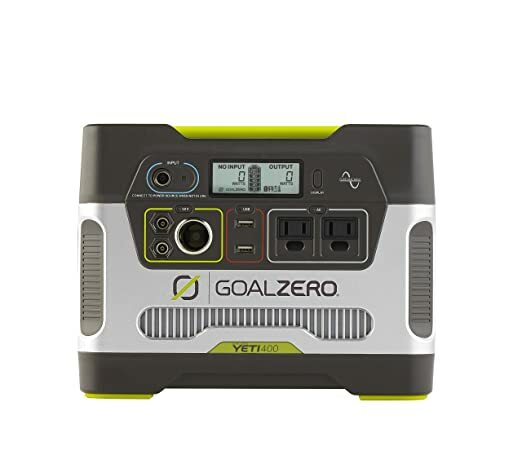 This gas-powered generator features two standard 120V wall outlets as well as an RV outlet and features a wheel kit for ease of portability. Thanks to the engine life digital readout, you know exactly when it’s time to change your generator’s oil. This dual-fuel generator can be powered by either liquid propane or gasoline to suit a variety of needs and applications. 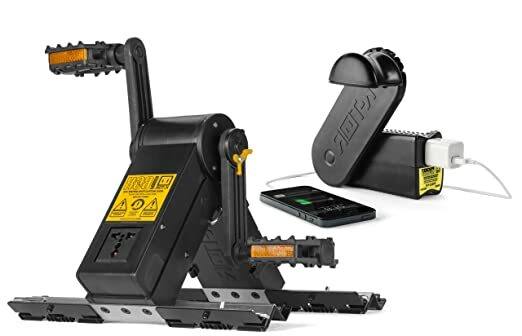 It features multiple outlets including two 120v 20 amp 3-prong outlets, one 120v 30 amp twistlock, one 120v/240v 30 amp twistlock, one 120v/240v 50 amp heavy duty outlet and a single 10a 12v outlet. 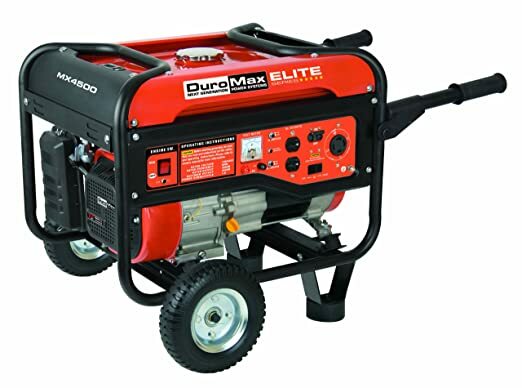 This portable gas-powered generator features wheels and a collapsible handle for easy portability and is perfect for use around the home or on the road – it’s even RV ready. The United States Department of Health and Human Services has rated this generator as being as quiet as a normal conversation, making it ideal for home use. Thanks to clean power output, it helps prevent damage to your valuable electronics. 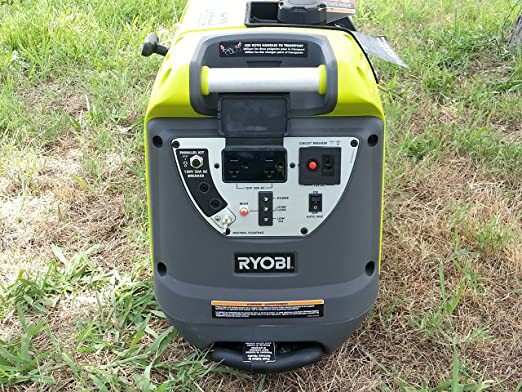 This 1500 watt gas-powered generator offers a portable and lightweight backup power solution for your home’s outage needs and features a 10 hour run time on 50% load. It can handle running a fridge, television and lights all at once. 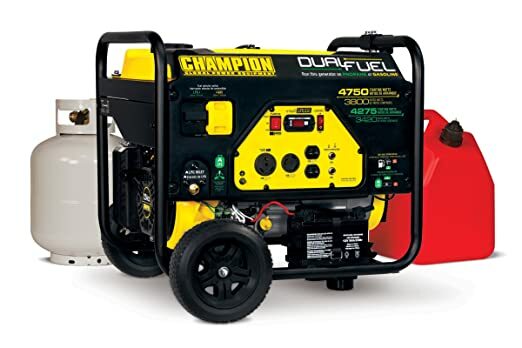 This gas-powered generator is available in a choice of two colors and features a built-in muffler for ultra-quiet operation with a USFS-approved spark arrestor. 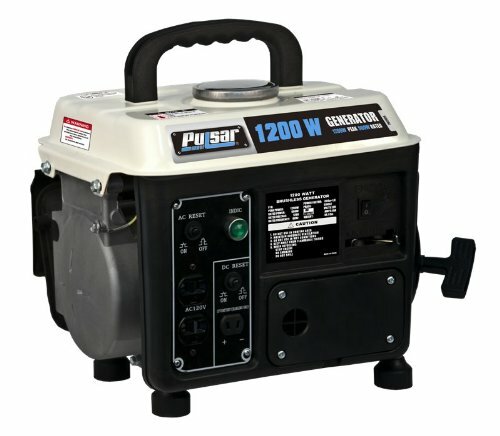 This 1200 watt two stroke generator offers an economical solution for those looking for backup power for their home or RV. It can run for up to 8.5 hours on a single tank of gasoline and features an easy to use recoil start. This inverter generator is very quiet at just 58 dB and comes complete with built-in wheels and collapsible handle for easy portability. Thanks to clean power output it is safe to use with even your delicate electronics. 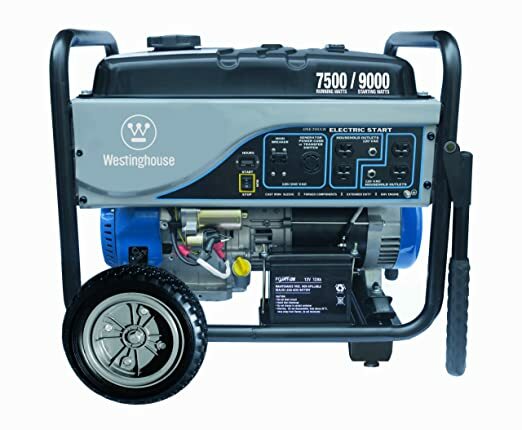 With 7500 running watts, this portable gas-powered generator can easily power your home’s appliances and television. Thanks to the full enclosure, electrical connections are protected from weather and debris. 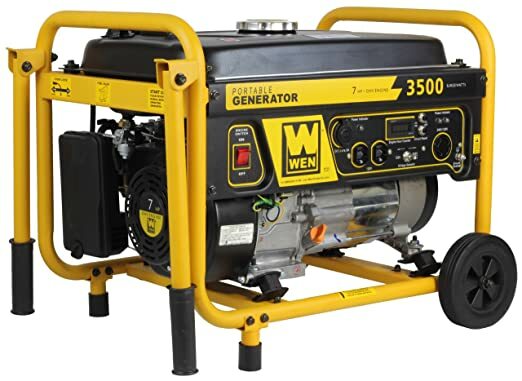 This gas-powered portable generator can run for up to 8 hours on a single tank of gasoline and features an easy to use recoil start. You’ll get many years of use thanks to its high quality stainless steel frame construction. 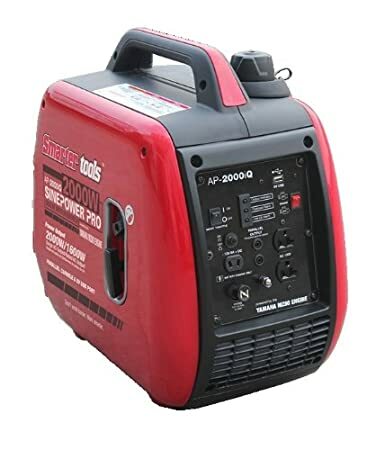 Thanks to its cast iron sleeve, this portable generator is built to last and features several outlets including one 120V outlet (5-20R), one 120V twistlock (L5-30R), and a single RV receptacle (TT-30R) for multiple power supply applications. 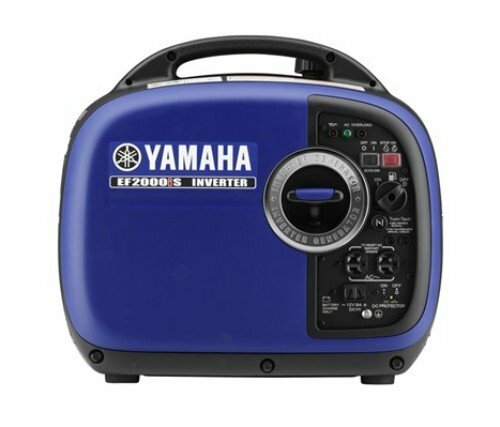 This inverter generator features a powerful Yamaha engine and Pure Sinewave technology which allows users to power sensitive electronic equipment like cell phones and laptop computers. The unit can operate in parallel with others so as to increase power. 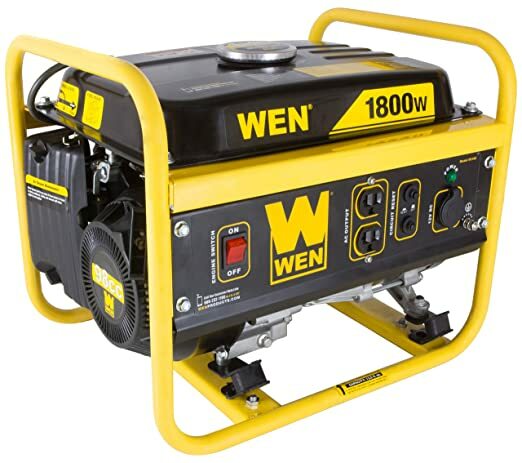 This generator is ideal for a number of power applications around the home and on the road thanks to its lightweight and portable design. It can even provide clean power to safely operate your sensitive electronic equipment. 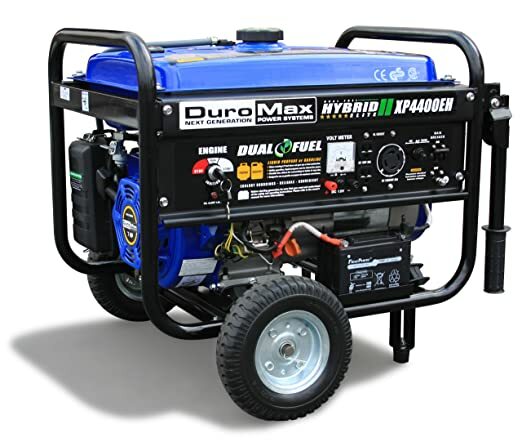 This portable generator can be powered by either propane or gasoline and features up to 9 hours of run time. 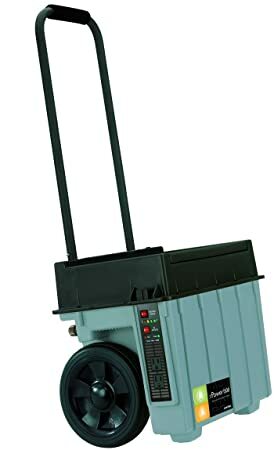 It has a cast iron sleeve to help provide years of continuous use and features four standard 120V outlets to help power nearly anything you need it to. 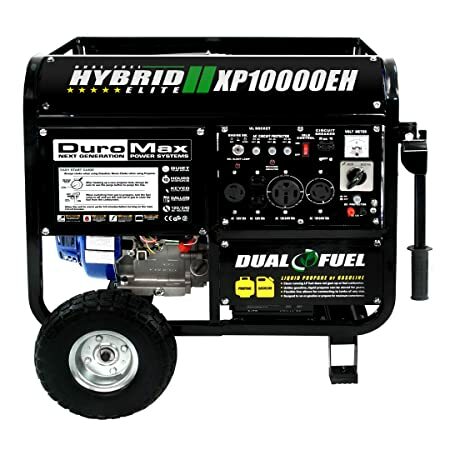 This 2000 watt gas-powered portable generator can handle your power needs for up to 9 hours on a single tank of gas and features a quiet, 68 dB operation. It’s easy to move thanks to its lightweight design. 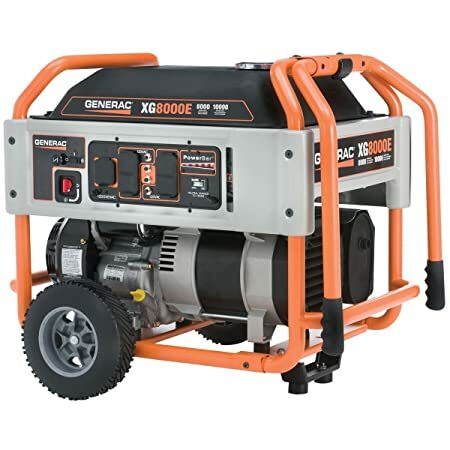 This portable gas-powered generator features a manual recoil start that’s easy to use and 5500 watts of continuous power to handle nearly all your backup power needs. Thanks to a built-in muffler, it operates quietly so it won’t disturb your family or neighbors. 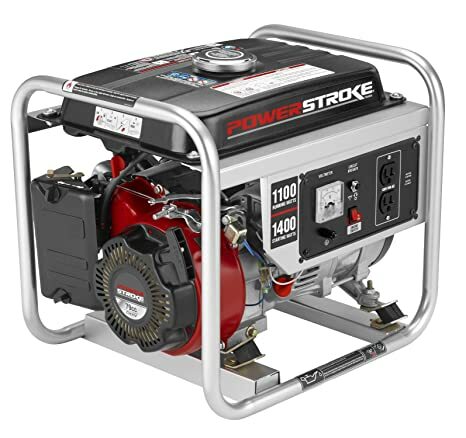 Thanks to its dual power options, this portable electric start generator can run on either gasoline or propane, making it ideal for nearly any backup power application. It takes just seconds to switch the power supply over. 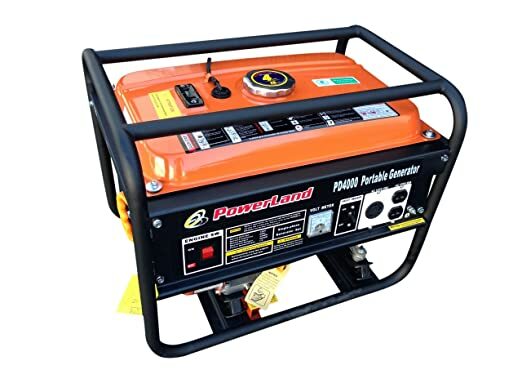 This dual powered portable generator operates off either gasoline or liquid propane for convenience and features a cast iron sleeve. 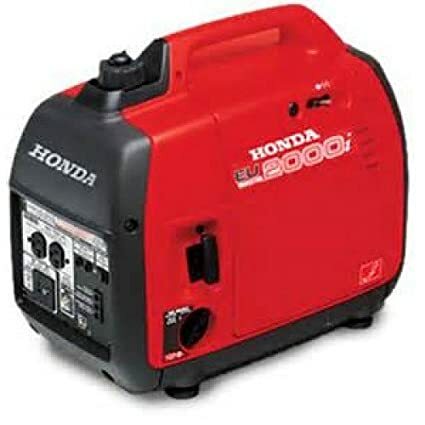 It can run for up to 8 hours off a single tank and features both an electric and recoil start for use in any situation. This solar-powered generator features enough power to operate your home’s lights, tools, refrigerators, freezers and even health care equipment. It can be used indoor since there are no harmful emissions. 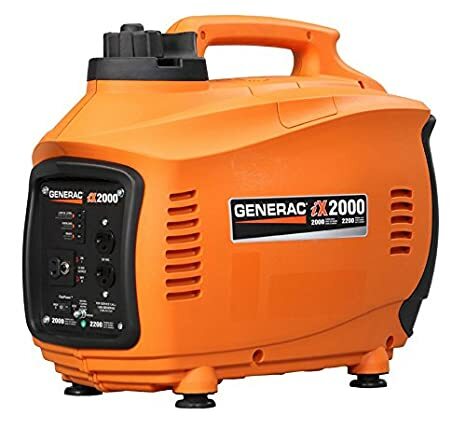 This powerful and durable portable gas-powered generator features a built-in muffler for super quiet operation and features two fully protected 20A 120 V outlets and a single 30A 120V twistlock outlet. 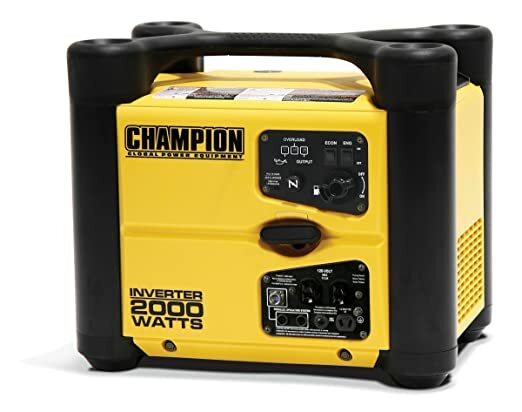 This portable inverter generator features a built-in overload protection to help protect your appliances and electronics and provides up to 2000 watts of continuous power. Thanks to its super quiet operation, it can even be used on campsites without disturbing wildlife or your neighbors. 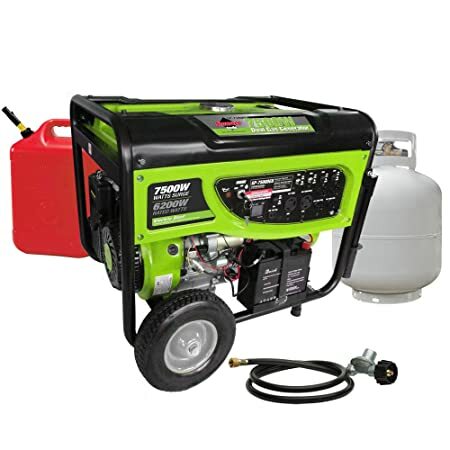 This portable gas-powered generator can run for up to 12 hours on a single tank of gas and features multiple outlets including one 120V (5-20R), one 120V twistlock (L5-30R), and a single RV receptacle (TT-30R). 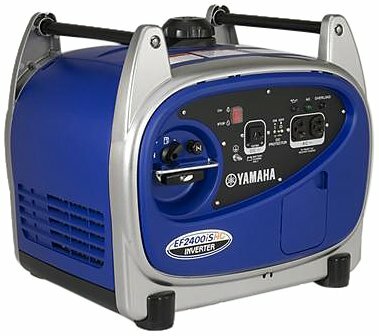 This portable generator features a powerful Yamaha motor that can even power your air conditioner. Plus, with its clean power, you can even use it with sensitive electronic devices like cell phones and laptops. The engine speed automatically adjusts depending on the load required. 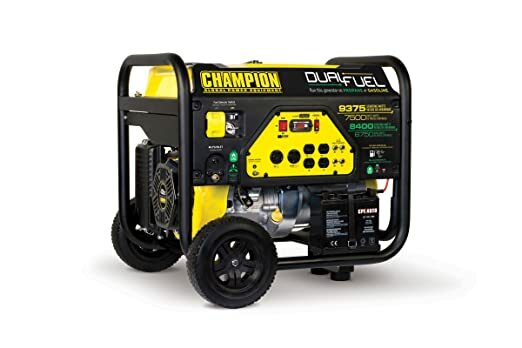 This portable gas-powered generator features splash lubrication to provide an extended engine life and boasts a large-capacity stainless steel fuel tank that allows for extended run times. 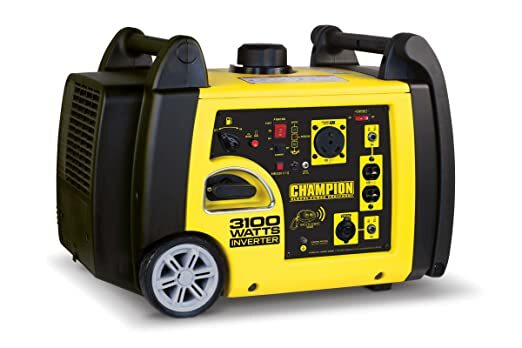 This portable gas-powered generator features an easy to read digital display to help owners manage their maintenance and oil changes and can run for up to 11 hours on a single tank of gas. 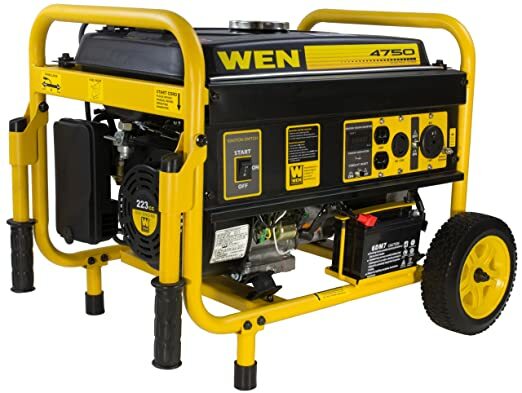 This gas-powered portable generator is easy to get up and running thanks to a single touch electric start and features an improved LED control panel for easy visibility as well as an hour meter to help track your usage. 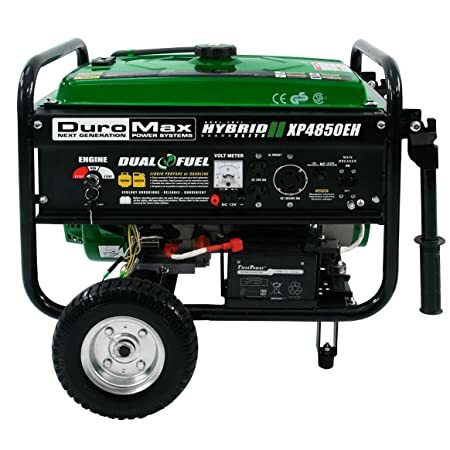 This dual fuel generator can run on either gasoline or propane and features an electric start for easy power up. Built-in wheels and handle make for easy moving and setup wherever you need a little extra power. 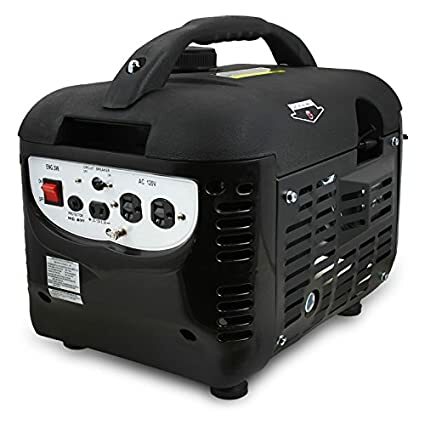 This generator features a lightweight design with built-in carry handle for ease of portability and can easily power what you need it to. It can be stacked for increased power and produces clean energy that is safe to use with delicate electronics. This pedal powered generator provides electricity without the use of gasoline or propane, so it’s safe to use indoors. Kids will get a kick out of pushing the pedals around to create up to 20 watts of power. 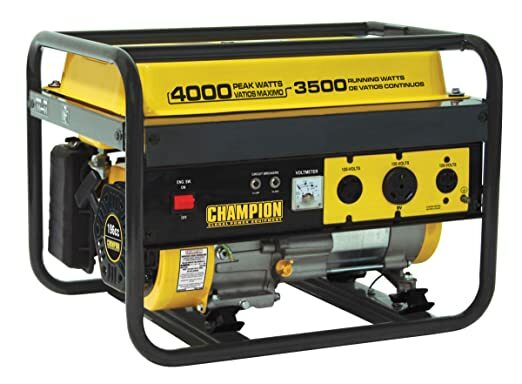 This gas-powered generator was designed with special splash lubrication in order to provide a long lasting engine life and features an electric start with battery and plug-in battery charger jack. The outlets are covered to help protect against debris and weather. 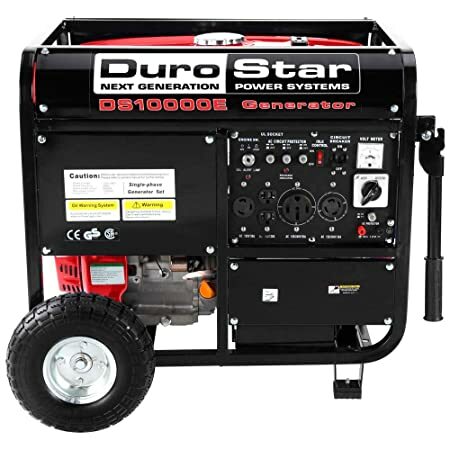 This dependable, heavy duty generator can be fueled by either gasoline or propane and features an electric start to get you up and running in no time. Thanks to its fully insulated motor mounts, this unit operates quietly, making it suitable for use in national parks. 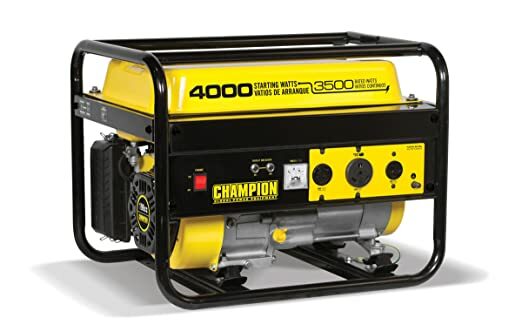 This 4400 watt gas-powered generator can provide your family with the power it needs during an emergency. 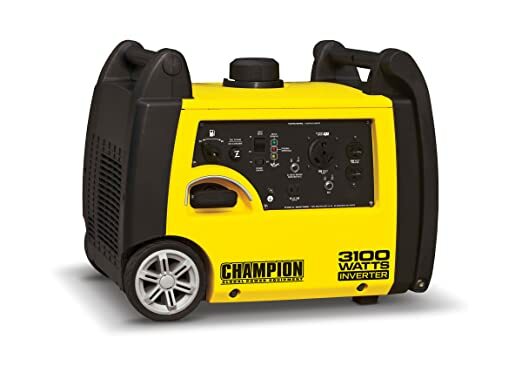 It can run for up to 8 hours on a single tank of gas, and features two 120v 20A 3-prong outlets (standard 120V plug) and a single 120v/240v 30A twistlock outlet. 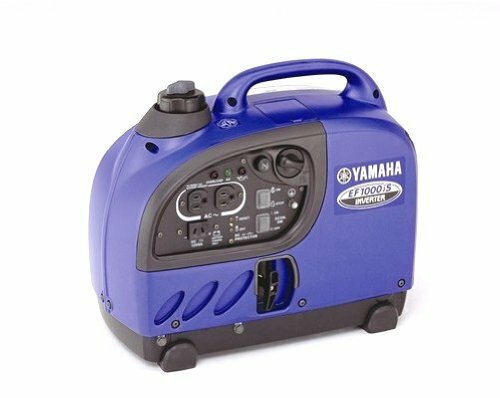 This stylish little generator features a specially designed sound reduction system that makes it quiet to operate and boasts a long 12 hour run time before needing to be refueled. 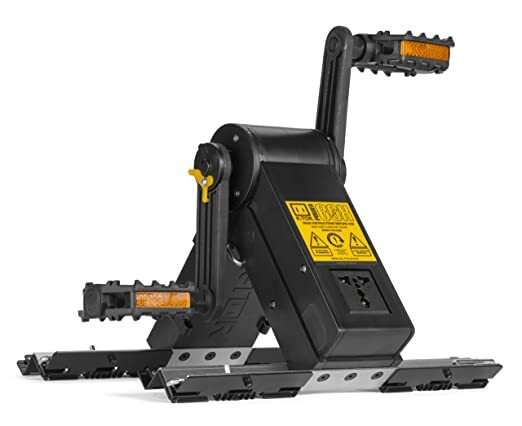 It weighs less than 30 pounds, making it easy to move where your power needs take you. Another pedal powered generator, this model can charge a dead cell phone in a matter of minutes, all without the use of fuel of any kind. 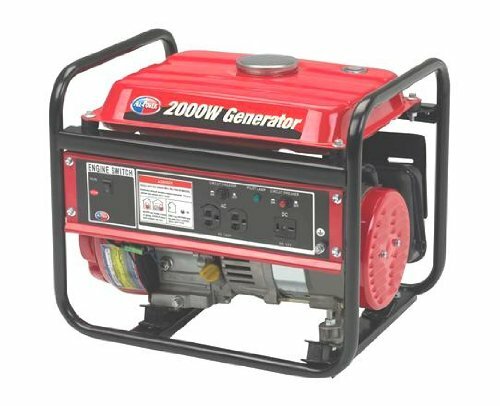 Ideal for travel and indoor use, this generator is designed to last for years thanks to its high quality materials. 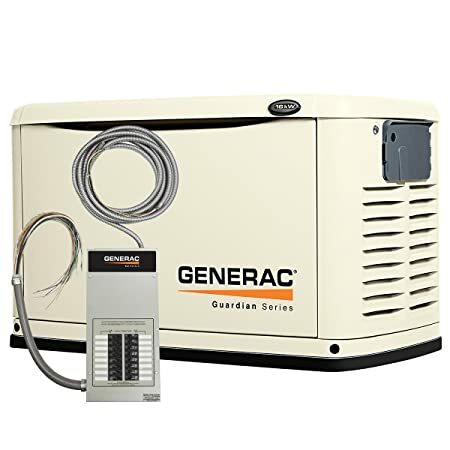 This generator is permanently installed to help protect and power your home automatically in case of a power outage. It can be run on either natural gas or propane, and is suitable for powering even sensitive electronics. This inverter generator has a running operation that’s so quiet, it’s no louder than a conversation. It features multiple outlets including two 120-volt AC and a single 12-volt DC. It can even be run in parallel for additional power output. 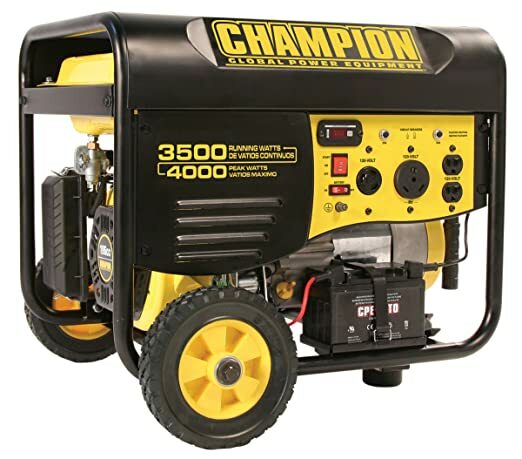 This propane-powered generator features an easy to use recoil start and covered outlets that help protect against the weather and debris. The easy to read digital multi-meter lets you quickly view voltage, frequency, engine run time and tracks scheduled maintenance intervals. 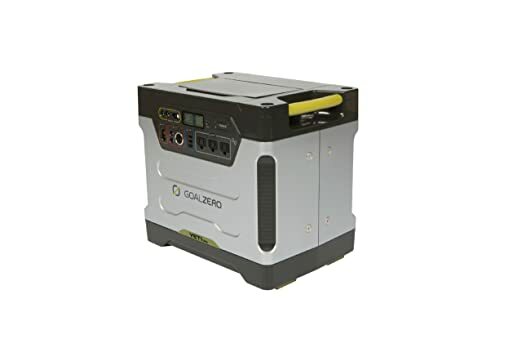 This portable powerpack can supply your home with up to 1500 watts of portable power and features an integrated portable cart design that makes it easy to set up where you need it. AC and DC plugs are included with this unit. 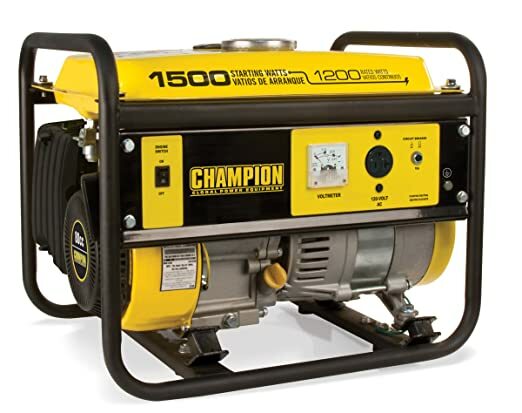 This propane-powered portable generator uses a standard gas grill propane tank and can run for up to 12 hours at 50% load. 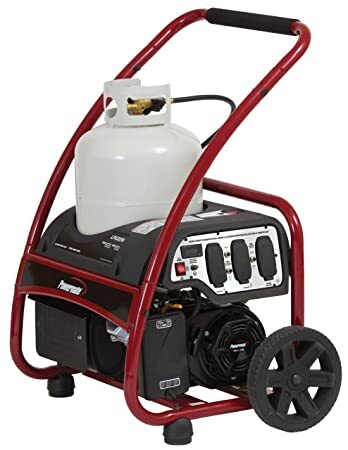 The propane regulator hose is included, and thanks to its lightweight design, it’s easy to move and set up anywhere you need it. This gas-powered portable generator offers an emergency power solution in a sleek and elegant design. The 4 hp engine is strong enough to power whatever you need it to. Includes two 120V AC outlets and a single 12V (8.3A) DC output for running DC appliances or charging batteries. 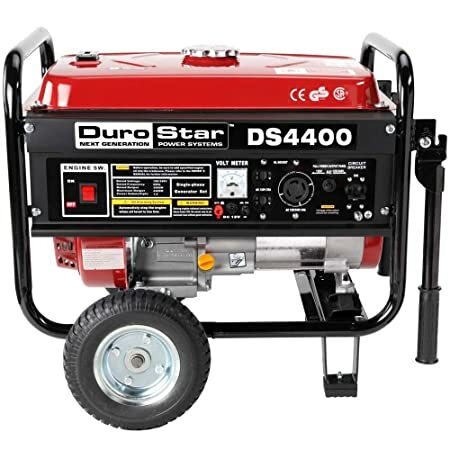 This portable gas-powered generator features an electric start that lets you get up and running quickly and easily. Its 8000 watts can operate nearly anything from your home’s air conditioner to lights and fridge. 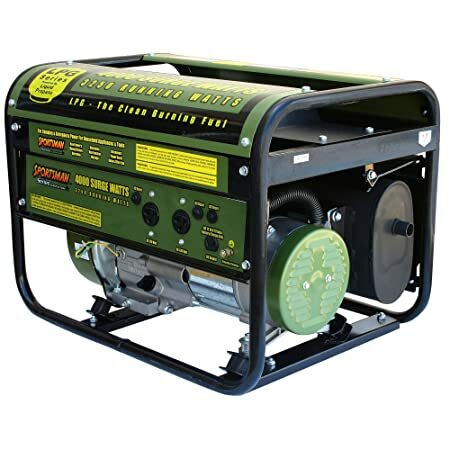 This gas-powered generator features an included wheel kit for easy of portability as well as dual collapsible handles. It features multiple outlets including two 120vAC 20A 3-prong, one 120/240vAC 30A twistlock and a single 12v DC battery charging outlet. 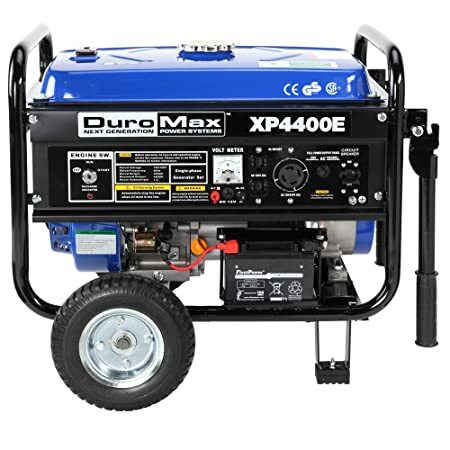 With 3250 watts of continuous power, this propane-powered portable generator can run for up to 10 hours on a single tank at 50% load and features two standard 120V AC outlets and one 12V DC outlet for battery charging. 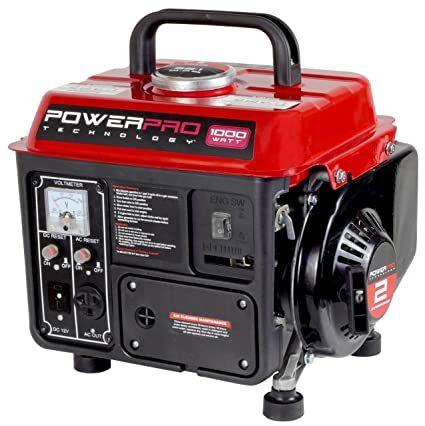 This portable gas-powered generator can stand up to even your toughest power needs and features a reliable engine with built-in low oil shutoff and automatic voltage regulator to provide cleaner power that’s suitable for use with sensitive electronics. 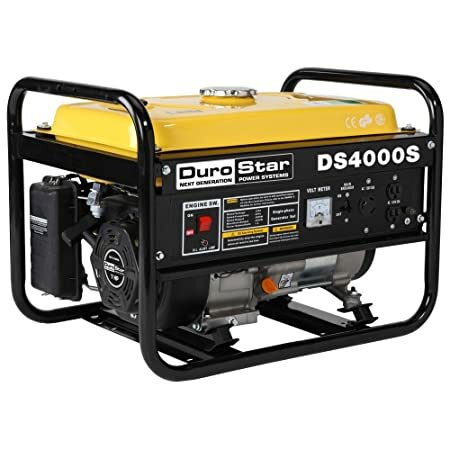 This portable gas-powered generator features up to 13 hours of run time at 50% load and can be started either manually or via electric start. The oil, funnel, and tool kit are all included to get you up and running right out of the box.